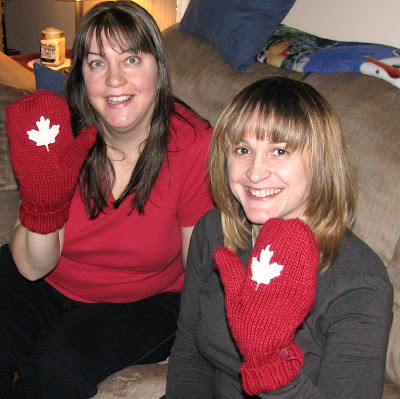 Me and my friend Jenn enjoying the big hockey game of 2010. February wasn't a great month for me and I was glad to turn the calendar page this morning. There were a few great moments though, so instead of talking about what was wrong, I'm going to give you my top 3 highlights of the month. 3. Discovering some cool and funky looking ducks. Before last winter, Rob and I didn't pay much attention to water birds, but on February 14th, 2009, while we were enjoying lunch at Snug Harbour, we spotted out the window of the restaurant the cutest little black and white duck! 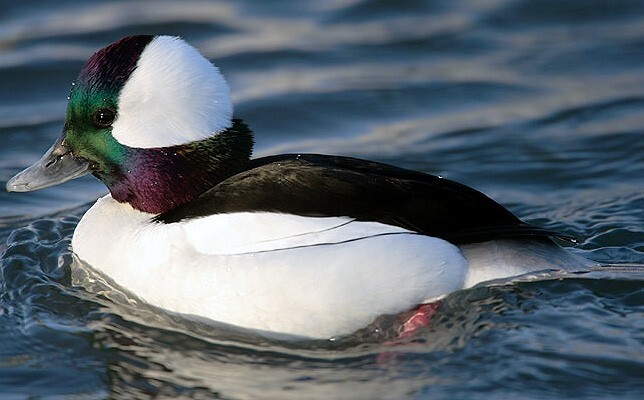 Turns out he was a Bufflehead, and a joy to watch. We went back this year to see them again and this past February we also were rewarded with some new "first" sightings of some other species of water birds. 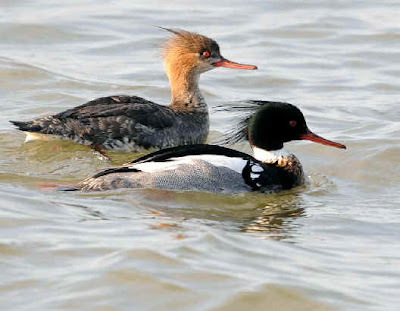 A pair of Red Breasted Mergansers. 2. Seeing the rock band "Airbourne". I am stuck in the 80's when it comes to my music of choice, it's the music of my youth and I still listen to it almost as much now as I did then. 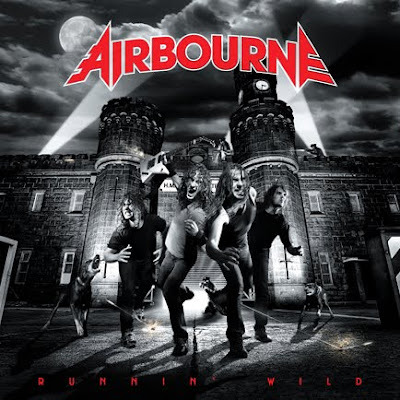 But back in 2008 I heard this "new band", Airbourne, and was instantly hooked. We had tickets to see them last year at a bar, but Rob was sick and we didn't go. When I found out they were opening for Motley Crue on February 4th, I knew I was going. I went with my friend Brian, and as always when we go to a concert together we had a blast. We had "pitt passes" so were really close to the stage. By the time Airbourne ended their too short set my throat was already sore from screaming and my hands sore from clapping. I am going to enjoy seeing how big this young band from Australia gets. I haven't been this excited about a band since 1987 when I heard Guns and Roses for the first time. 1. My number one moment of the last month? Watching Canada beat the USA for the Gold Medal in Olympic hockey. I got into the Olympics more then I expected, but this hockey game was the cherry on top of the already great sundae. It's not too often you know what all your friends and family are doing at the same time, but yesterday I knew, as it felt like the whole country was watching the game. There was a connection across the whole country while the Olympics were on, but yesterday you could feel it in the air, and when Sidney Crosby scored the winning goal in overtime my heart swelled with Canadian pride, so much so that I had to go out on the porch and scream with joy to release it. February may not of started off very well for me, but it ended on a highlight, a day the whole country, from coast to coast was connected to watch an amazing hockey game, and a moment that I will remember for the rest of my life. Sidney Crosby reacts after scoring the winning goal! I hope March is a better month for you.